Any celebration is kind of empty without a cake. Delicious cake ads on to the festive feeling. 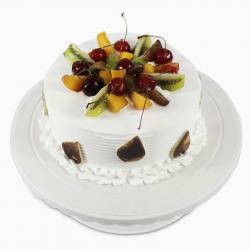 Be it Birthdays, Anniversaries, Festivals, cakes are good anytime. 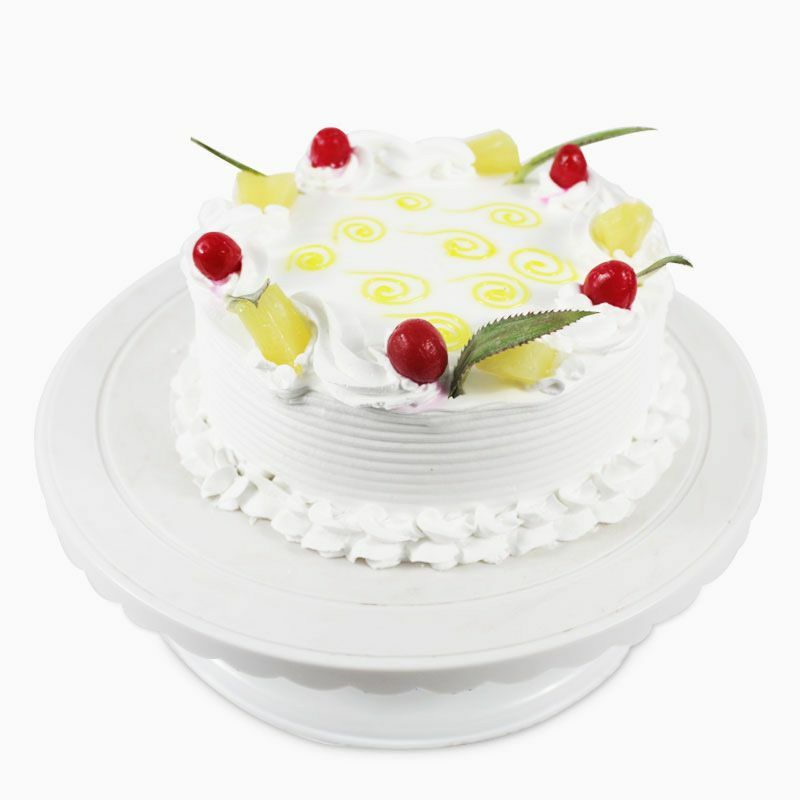 This Pineapple Cherry Delight Cake is a perfect combo taste bud. 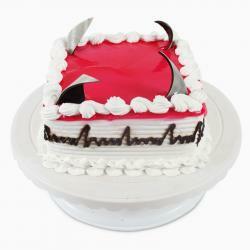 Delight your loved ones on their special days with this amazing gift, that you can send online hassle free via us. 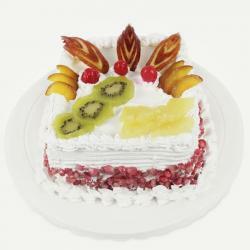 This 1/2 Kg Cake comes with pineapple essence topped with whipped cream, cherries and pineapple chunks. This is going to melt your special ones heart definitely. Cakes are always extremely attractive. 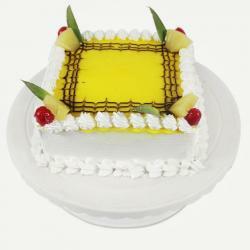 Product Consists: Half Kg Round Pineapple Cake.